In the messy reality of everyday politics, political parties are often forced to focus on short-term external crises. As we know all too well from examples in our own countries, this can work to the detriment of the medium and long-term development of visions, strategies and the party organization needed to support these strategies. At NIMD, we use a tool that we call “strategic planning” to help political parties across the globe gain the capacity to look ahead and anticipate developments. This way, parties and politicians can prepare adequately to deal with political events, societal demands and democratic changes. 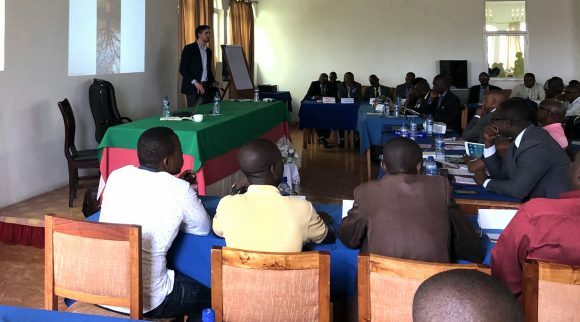 On 8 and 9 March 2018, NIMD and its partner, the Burundi Leadership Training Program, organized a strategic planning training for political parties in Gitega, Burundi. Most of Burundi’s political parties attended the meeting, as well as the Ministry of Internal Affairs. 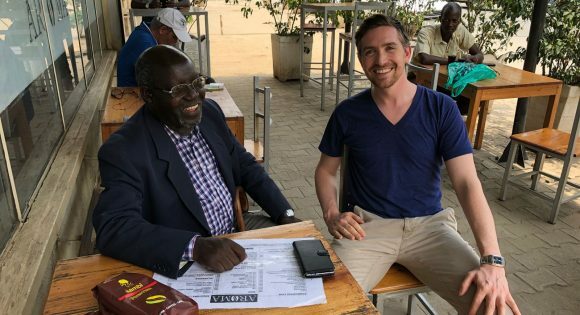 Kido Koenig, former Vice-President of the youth wing of the Dutch Labour party (PvdA) and trainer for the Foundation Max van der Stoel, provided technical expertise to the training. We asked him about his experience. Why did you find it important to contribute to this training? I strongly believe that sharing knowledge, experience and motivation is a good way to improve democracies. In addition, it is also a very special and instructive experience to work with politicians who are trying to get something done in an incredibly difficult context. What is the importance of international exchange and training for young democracies like Burundi? As a politically active person, it is very easy to lose yourself in your own context and there’s a danger of constantly trying to reinvent the wheel and getting stuck in short-term politics. Sharing experiences from other countries and thinking about broader and more strategic questions gets politicians out of that context and helps with the long term. How did your own experience in a political party help you to assist Burundian parties to develop an organizational vision? Let’s start by saying that no party is perfect and that, in the Netherlands, parties and democracy still need constant work. But, by thinking about the issues that we all encounter, you can give a push in the right direction. It’s about discussing the deeper questions of representation, legitimacy and responsibility in order to arrive at a party organization that can effectively commit itself to a better society. The fact that I have often seen these questions pass by helps guide the discussions and thought-making, without becoming prescriptive. How do you think the training was received? I have a very good feeling about it. The participants loosened up in the plenary discussions, were very curious about my experiences in the Netherlands and were active in the work sessions. The local context is complicated, and sometimes it feels like fighting an uphill battle. But if you see the participants writing notes and plans for a better future of their party, then you know that there is always hope. Can you describe a nice response from the participants? Apparently, they found me cool enough to invite me for drinks after the training. There were also surprising questions about details: “Why does the PvdA have a party leader and a chair?”, “How do you form a coalition and what do the opposition parties do?”, “Why is it so difficult to find good women for our party?” These are the questions that made me think: YES! You have understood: these are the choices we as political parties are faced with. I hope that they use the exercises and the Dutch examples for their own growth. Burundi is a country where politics is often polarized and dominated by the question of who is in power. NIMD believes that a democracy benefits from strong parties with a clear vision. Together with its partner the Burundi Leadership Training Program, NIMD assist political parties in developing this a longer-term vision. By adding experience from its international network. By offering technical tools to take the step from power-politics to policy-based parties. And sometimes, by simply asking the right questions.